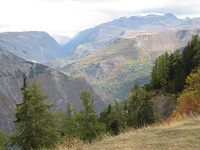 Bikeasy is a small accommodation rental company based in Alpe d'Huez. It is run by Gerry and Mel Mallen who have lived and worked in the resort for eighteen years. We have worked for many years in the cycling and ski industry and are confident that we can offer you good quality personal service. Mel runs British Masterclass a long established ski school in the resort. Gerry has managed tour operations in the resort and also runs an estate agency. We have two young boys who thrive on the mountain life and adore mountain biking and skiing. We have picked our apartments and chalets to cater for different tastes and budget and feel by offering self catered we can help you have more flexibility during your stay. © Copyright 2015 by Freelance-Artwork. All Rights Reserved.